5H Extending the True Blue brotherly support. Home JC News and Update 5H Extending the True Blue brotherly support. 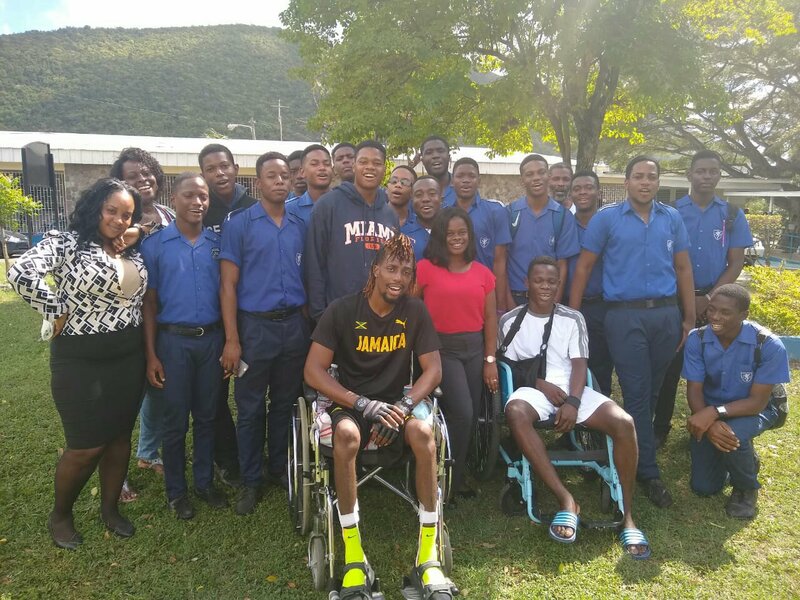 Mrs. Herah-Thompson and a few students visited Rajheme Thompson at The Mona Rehabilitation center. We are always happy to see our young Blues extending brotherly support. For more information about Rajheme’s progress you may get in touch with Mrs. Herah-Thompson or any member of the Business department.